For those who enjoy a rustic look at home, now you can bring that same warm feel into your office with our Barn Wood Executive Desk. 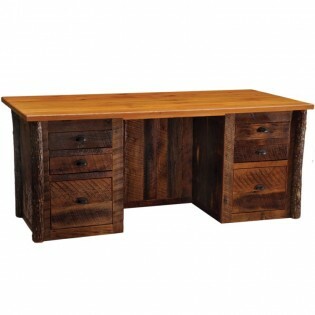 Quality craftsmanship and attention to details make this desk the perfect choice for your office. Full-Extension Ball-Bearing Glides rated for 100 lbs.